We have been musing much on HG Wells’ War of The Worlds. Woking, where the great man set this iconic tale, is just down the road, a well-trained suburb with a theatre and a fearsome one-way system. And on the Chobham Road out of Woking is the scene of a breathtaking, if fictional event. It happens at Horsell Common. This is where Wells has his Martian spaceship crash. He is even more specific than this: he says the capsule lands near The Sandpit. 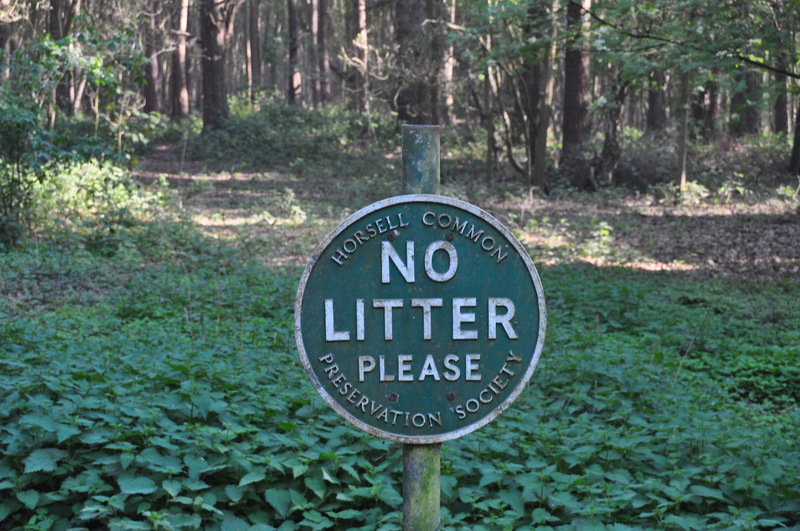 We spotted signs for the common on the way back from Woking a couple of weeks ago. And today, we felt ready to picnic where the Martians had landed. There was great excitement. The whole family has been listening to the audiobook: we know, step-by-step, what happened when the great black creatures unscrewed the top of their capsule and emerged to take over the world. Wells describes how an unidentified object lands which is clearly not quite natural. It draws onlookers who gather in knots and ooh and aah as they capsule opens and black, ‘unspeakably nasty’ aliens emerge into a new atmosphere. Those who stay to watch are unwise, as the first idiot who topples into the pit finds to his cost. He is spotted, his head bobbing, trying to re-emerge and then falls, never to be seen again. Still, the crowds reason, there is no way the Martians can get out of the Sandpit on Horsell Common. Even the Press says so. No-one bargains for their technological genius, however. It is not long before great mechanical tripods are transporting the predators about. Their method of hunting is efficient: they herd humans, they kill them with a heat ray, and then they consume them. The most superior race on the planet is relegated to the significance of ants. We arrived at the Common all anticipation. Surely, somewhere, someone might acknowledge what so momentously didn’t happen here, one hundred and ten years ago? It appears not. There is not a whisper of the site’s gory and horrific, if fictional, past. Is this because the good people of Surrey don’t want a load of lower-class oiks trampling their back yard? Perhaps. Or perhaps, an even less charitable conclusion, they simply do not know. Two adults, two children and a dog started out on the hallowed trail. The map revealed there was actually a site called The Sandpit. Unbelievable specificity! We would be able to stand where they had not landed: to watch where humans had not been herded: in short, to commune with this great literary site. But it was hard to envisage terror, this balmy afternoon. The path to the sandpit is a wide dusty road embowered by a solicitous forest which meets overhead. The brand-new lime-green foliage showed the dappled sunlight off to its greatest possible advantage. Men busied themselves about their various concerns. With infinite complacency, they went to and fro …serene in their assurance of their empire over matter. The woods were full of Surrey dogs: they walked with the walk of the CRUFTS centre ring, a pedigree spring in their step. Accompanying them were Surrey children, who would greet one with a cheery “Hello”, so unlike the customary Neanderthal grunt of the general masses. Everyone was well-dressed and well-heeled. After extricating the dog from several peaty, smelly heath pools we arrived at our destination. And it was unmistakeable. The forest cleared for a great orange beachy expanse of sand, with a pool at the bottom. It seemed unearthly, there in the midst of a forest of pines and birches. It almost shouted. No wonder Wells chose this geological anomaly for the landing of his mythical creatures, I thought. It is alien itself. Although this did not seem to bother the Surrey families picnicking happily where Martians never trod. We joined them with ham rolls and iced buns and grapes and crisps. It was a festive occasion. We tempted the dog back occasionally from a hectic social calendar with the odd hoola hoop crisp which he crunched with doggy abandon. A repost of one of my favourite English picnics…..thanks for reading. Posted in Places to visitTagged England. Anglophile, HG Wells, Horsell Common, literature, martians, picnicBookmark the permalink. You love that place. Maybe you are really aliens well disguised? But I won’t be letting on…..
Now, the description may be a little different but you can’t ignore the relevance of the clue. Can you? Malcolm, you’re a genius. Must nip back with a camera to catch a couple of nommos in action. It seems that many of the woods in Surrey have A Sandpit. We spent hours of pleasure with our kids at the The Sandpit in the woods at Claygate. I get such pleasure from your posts as they take me back to the area in which I spent the greater part of my life. It’s sandy territory, Surrey, Roger, isn’t it? Heath land. I’ve never really known anywhere else properly, though I’ve lived for small spells elsewhere. The stuff of childhod and familiarity. I reckon ham rolls would have seen those pesky Martians off Kate – never knew the book was set there as well! Wht didn’t the heroes think of ham rolls, Jim? It seems so obvious to us. Pick-a Nicking with the alien descendants all around you, such brave souls. Of course, you do have Master Mac to protect you. Indeed. He see of a Martian or two, especially if they had a well developed sense of smell, Lou. I didn’t know it was set in Woking…This is way out in the left field, but the wife of the RMS Titanic’s original second officer’s was born in Woking, where her father was a clergyman at St. John Baptist’s. Gracious! That one I didn’t know, JG! Thanks! Ok, if a prankster were around, he might put big fake Martian like stuff there. Just to freak some people out. If it ever happens, I’ll take pictures, and get them online, Michael! Wonderful, Kate. I enjoy how you read with your kids, listen to audio with them, and take them on such adventures. We live in an adventure-packed area, Penny! Dear Kate, weeks and weeks have passed since I Iast read your blog and I return to a picnic celebrating the site of a fictitious Martian landing. You do such a wonderful job of creating experiences that enhance what your children are reading and doing and learning. This is a way of creating memories to last a lifetime. Peace. Alas, it’s the kid in me which seeks these places out, Dee. I enjoy it just as much as anyone! Sorry I haven’t been around Kate. I’m in California with my family but will return to the Apple soon. Considering that that book is such a classic, you’d think there would at least be some sign or plaque noting that this is the exact spot where the martians didn’t land, but at this point ignorance of this non-event probably has overtaken snobbery. Wonderful post to this member of the unwashed masses. Hi Lame, glad you’re having a good time in California; hope you’re getting a chance to wind down. Yes, you would think there would be a Martian or two marking the spot..
Ah, I see. ‘Esaelp rettil on’ is Martian for ‘We landed here’, but somebody got it backwards. I am amazed that it doesn’t have signs galore and a kiosk selling replica aliens and other souvenirs and demanding an entrance fee. Me too, Col, but there you are. Still a picnic spot, despite the blatant Martian backwards propaganda. A backward race, indeed – and of course, what they were picknicking on was us! Wonderfully spooky, Kate. I remember my Mom telling me about the day “War of the Worlds” was broadcast and how terrifying it was – until they happily discovered it was just a story. But what a story it was – I’m sure your children were delighted to trample that earth that Martians might have trod on had they ever visited Earth. They revelled in it, Judy! The martians have NOT landed. Long live the hsilgne cincip! Ha! You said it, Nancy!